TALLAHASSEE — An appellate court in Florida has ordered a new trial in a cancer-related case in which tobacco giant R.J. Reynolds was ordered to pay a record-high $23.6 billion judgment. According to a report by the Courtroom View Network, the decision comes in the wake of the widow of Michael Johnson being awarded the amount by an Escambia County circuit-court jury after it was established Johnson smoked cigarettes for most of his life before dying of lung cancer. In the suit, attorneys for Cynthia Johnson argued Reynolds’ executives conspired to hide the dangers and damages of cigarette use, greatly contributing to her husband's nicotine addiction and eventual demise. In rendering its ruling, the 1st District Court of Appeal found most of the award settled on by the 2014 jury was excessive and fueled by an improper closing argument by plaintiff attorneys vilifying Reynolds for simply defending itself in the litigation. 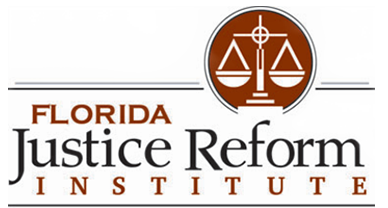 Florida Justice Reform Institute President William Large told the Florida Record he agrees with the appellate court’s order calling for a new trial. 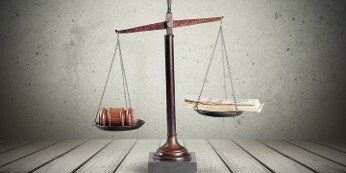 The case stems from a 2006 Florida Supreme Court decision decertifying Engle v. Liggett Group Inc., a class-action tobacco suit originally filed in 1994 in which the court found individual cases could rely on certain jury findings in the original case, including findings that tobacco companies had conspired to hide the dangers of smoking from consumers. The court went on to essentially use plaintiff's attorneys' own words against them, quoting from their closing argument in which they chastised Reynolds for failing to “come clean” on the dangers of smoking and the methods by which the tobacco industry targeted unsuspected consumers for much of the early 20th century. The appellate-court opinion mentioned that a new trial on punitive damages only came after the defense rejected its remittitur to $16 million on punitives. The Johnson verdict dwarfs any other jury award ever rendered in an Engle progeny case, with the largest prior award coming in 2014 in the Hubbird vs. Reynolds case ordered by the 11th Judicial Circuit at $28 million. As for why something wasn't said or done earlier in the Johnson case to curb what the appellate court now sees as unwarranted abuses toward the defense, Large seemed dumbfounded.